Jack Horner, the technical adviser on Jurassic Park and professor of palaeontology at Montana State University, is hoping to use living birds to hatch a dinosaur. Jack Horner believes that a modern bird’s DNA contains a genetic memory that could be “switched on” again, resurrecting long-dormant dinosaur traits. What’s more, Jack Horner is looking for a helper to assist in the retro-engineering of a prehistoric beast. He explains that to make a dinosaur, he would start with the genome (the whole hereditary information encoded in the DNA) of an emu. “Emus have all the features we need in order to make a Velociraptor-sized dinosaur,” Jack Horner says. Jack Horner’s work is supported by other leading academics. Sean Carroll, a geneticist at the University of Wisconsin, says: “The inventory of genes in a bird would be very similar to the inventory of genes in a dinosaur. Hans Larsson, a palaeontologist at McGill University in Canada, conducted an experiment recently into the evolution from dinosaurs’ long tails into birds’ short tails more than 150 million years ago. Expecting to see between four and eight vertebrae present in the developing spine, his microscope instead picked out 16 vertebrae – effectively a reptilian tail. As the embryo developed, the “tail” became shorter and shorter, until the young bird hatched with only five vertebrae. Hans Larsson says of the significance of the find: “For about 150 million years, this kind of a tail has never existed in birds. Hans Larsson now believes that in a hundred years or so, geneticists could retro-engineer animals that appear identical to Mesozoic dinosaurs. 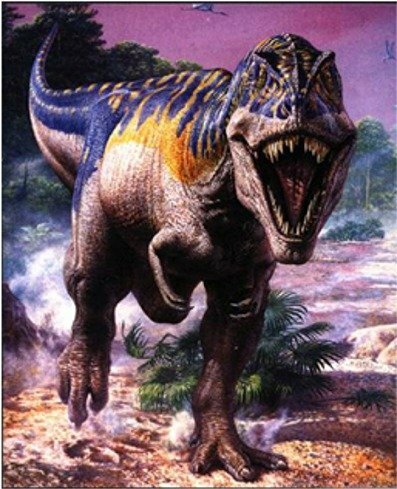 “Why can’t we take all the genetics, just change it around a little bit, and produce a Tyrannosaurus Rex, or something that looks like one?” he asks. John Fallon, a developmental biologist at the University of Wisconsin, agrees, saying: “As we learn more, we’ll be able to do it. Jack Horner, meanwhile, imagines creating the first example. “I have to admit that I’ve certainly imagined walking up on a stage to give a talk, and having a little dino-chicken walk up behind me,” he says. “That would be kind of cool. “There is now nothing to stop us bringing back dinosaurs but ourselves.